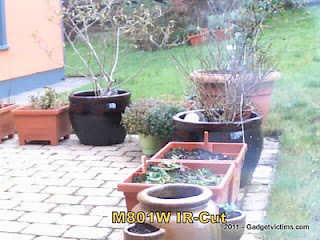 Home Dericam hardware ip camera update Evolution of M801W: now with IR-Cut ! Evolution of M801W: now with IR-Cut ! Following the general trend in IP cameras, Dericam added IR-Cut to its M801W range. This new version of the M801W offers an improved picture quality thanks to the automatic IR-Cut system. It is already available at Andy.lig's shop. 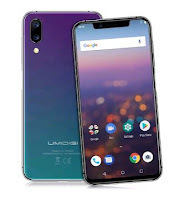 The price is about 10€ slightly higher than for the old model. I took some comparative pictures with both old and new models. 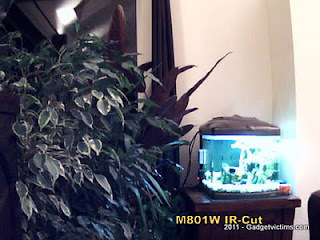 The IR-Cut shows sharper images and better color rendering: no more purple foliages! Does it works connecting at 13 wifi channel? Many thanks for your answer. Just another question before I buy this cam. How's the speaker and mic quality? I bought Foscam and this feature was terrible, I'm trying to find a camera with good speaker and mic sound. It's only 'slightly' better I'm afraid, despite 2 speakers in the base, plugging an external one would be better. Microphone takes less 'static' and is better than Foscam but it's still hard to follow a conversation. The Sound delay -at least in WiFi- makes 2 way chat quite impossible. I'm pretty happy with my IR Cut M801W except that I've noticed that when the lighting is between day and night, the IR Cut comes on and off for several minutes. I hadn't really paid attention to this problem until I activated motion detection as this switching triggers false alerts. Do you have that problem too ? I think I see the same. I don't use email alert as I anyway get too many of them. Instead I FTP them to a NAS. It shows as a few darker and blueish pictures in my case. Looks like a bug . They became very silent at Dericam so I don't know if a fw udpate exists. Thanks for checking, do you see several series of such pictures or just one? 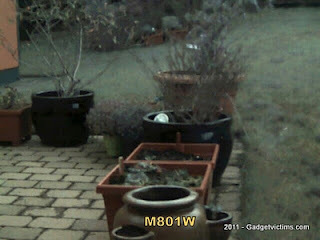 Just one is probably ok as it would occur when the IR lights/filter kick on/off in the evening/morning. It's only the first series of pictures. Makes me thing of a similar bug that was resolved by Foscam a while ago. Yours seems ok then. Are you saying it looks like a bug to you or was there an actual bug that got fixed, hardware or software ? I believe it is a bug in the Dericam M801W. 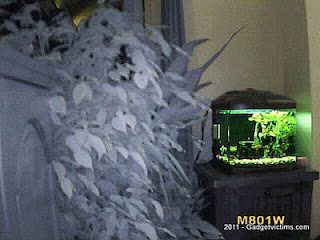 Just mentioned that I saw a similar bug in another ip camera (Foscam FI8918W) over a year ago. Unfortunately it doesn't look like Dericam is following up on their products like Foscam does. Yeah the focus can be a nightmare to re-focus, I had troubles after dismantling mine for the review. The 4 long screws around the lens must be adjusted very precisely. Are you able to turn the IR permanently off. no, there's no manual control for this.